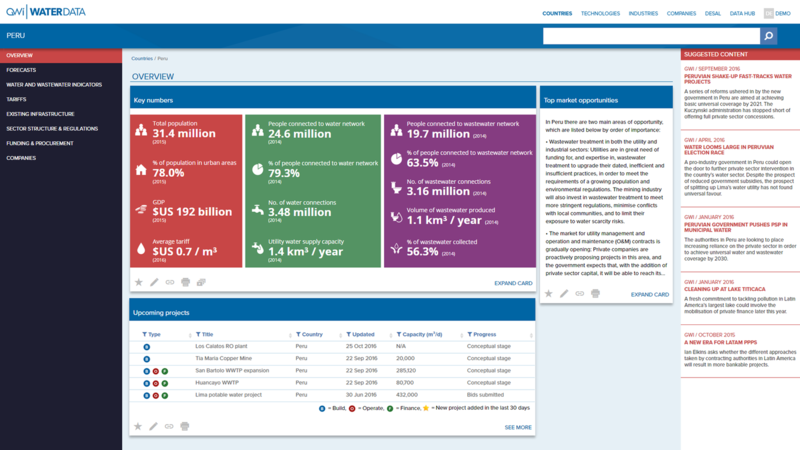 All the data you need for your core and target markets, as well as the tools to assist you in identifying and acting upon opportunities, including project profiles, interactive forecasts and analysis of individual countries and industry sectors. Zero in on the data that is relevant to your business. 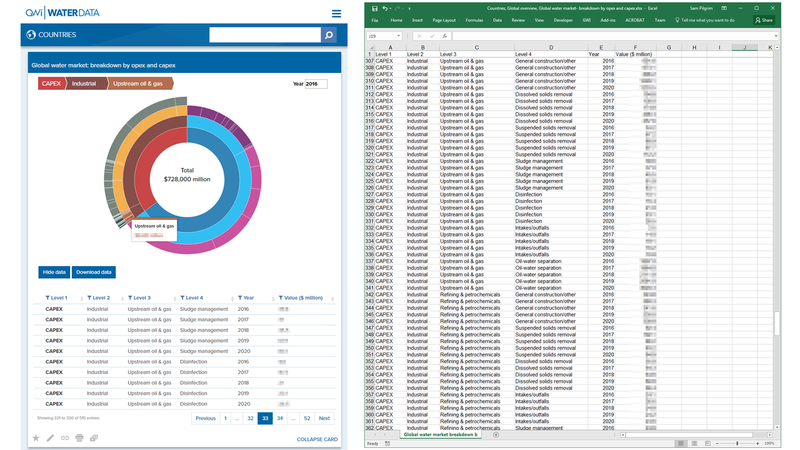 Manipulate key graphs, view the numbers behind charts, save them to your slide deck and build a presentation, or download the raw data into Excel. 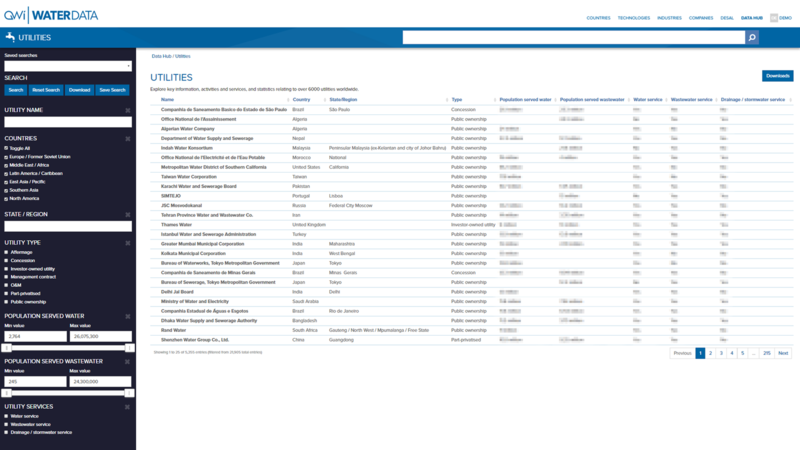 Your own project space: your library of dataset downloads, favourite content and an area for building slide decks that you can download into PowerPoint. 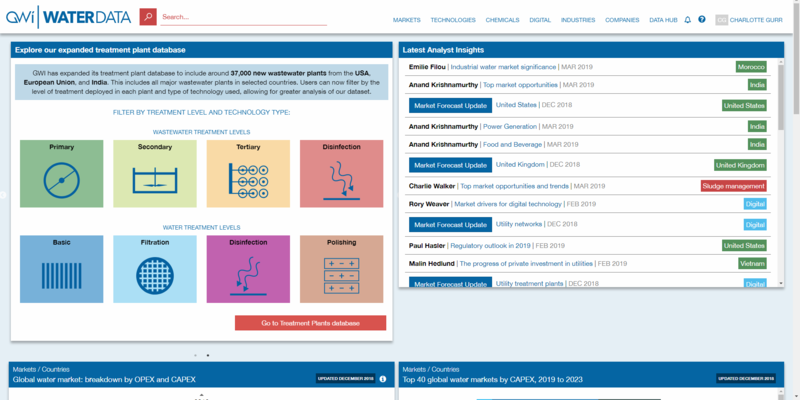 Keep on top of the competition with our comprehensive database of global water companies, including their key financials, company activities, industry sectors and press coverage updates. 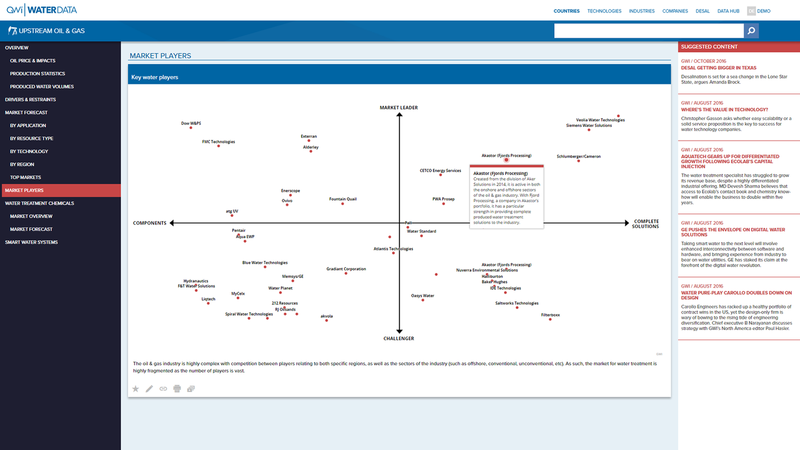 Understand the position of players within key sectors using our market spot charts and plan a strategy for finding your niche in that space. 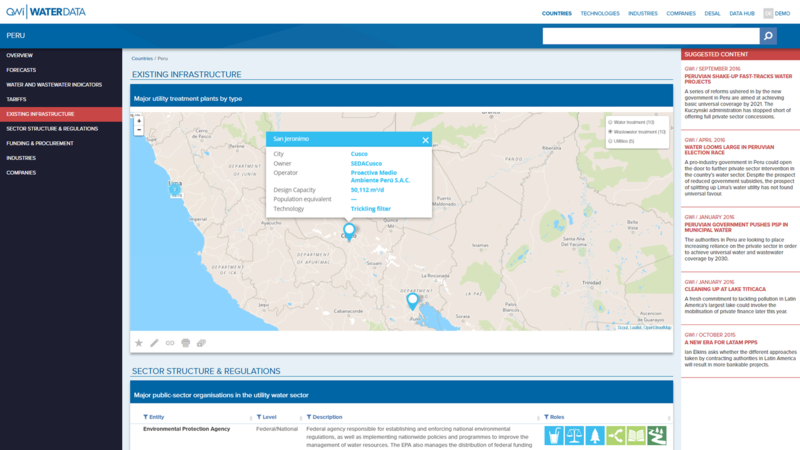 GWI WaterData understands that different users look for information in different ways – the top-level menu is merely a starting point for you to explore countries, technologies, industries and companies. 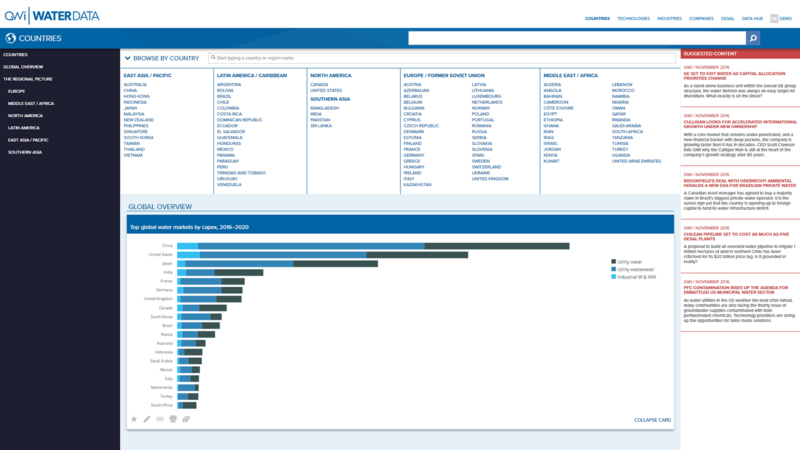 Users can also move with ease between interconnected content, at different levels of granularity. 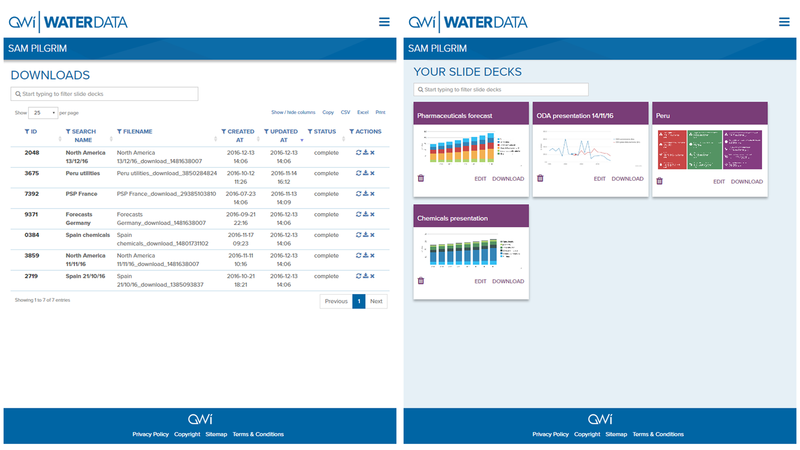 The Data Hub is the ultimate data centre, including extensive datasets produced by GWI and external sources, letting you explore utilities, mergers and acquisitions, plants, the water tariff survey, as well as the market forecasts that support the graphs and charts within WaterData. Each section branches out into a number of subsections, with further breakdowns in each subsection. For example, Technologies divides into Treatment Technologies, Chemicals and Equipment. Within Treatment Technologies you will find further subdivisions, including Suspended Solids Removal, Oil-Water Separation, Dissolved Solids Removal, Biological Treatment and Disinfection. WaterData makes powerful connections. 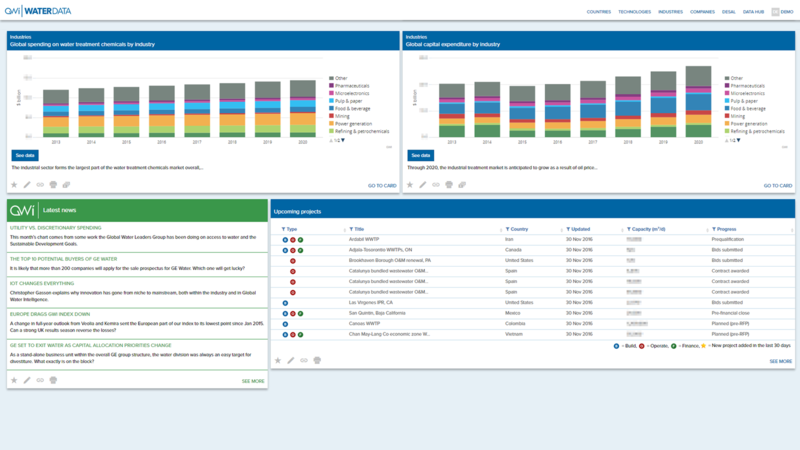 WaterData intuitively links the data and analysis with the rest of the platform, but it also draws on relevant content from other GWI products and external sources. 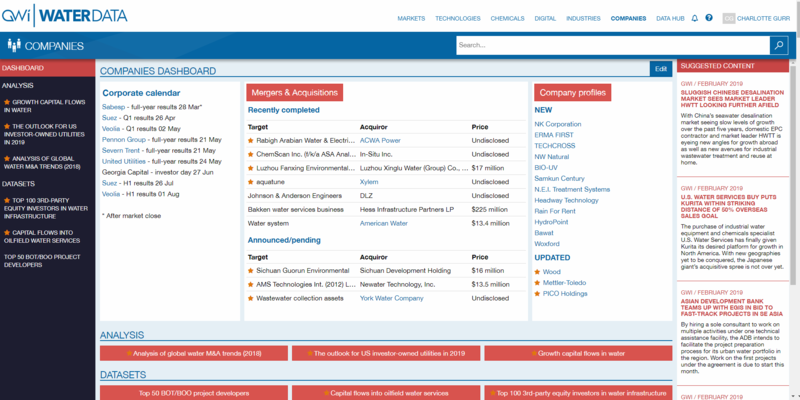 For example, relevant news about a company is fed from GWI magazine into its WaterData company profile, and the top upcoming projects tracked by GWI magazine will appear on the WaterData homepage.